Don’t buy target market mailing lists! That’s the advice I give clients when they show me a “Buy a List” email offer. I have purchased mailing lists in the past and can honestly say that they were a waste of money. The data was expensive, inaccurate and out of date. And with current anti-spamming laws, the days of buying a list and sending out an email blast (legally) are over. But there are times when it’s good to have a list of companies that you want to target. Here are 5 easy steps you can take to generate that list for free. Once you get the hang of it, you can have a list in under 15 minutes. 2. Go to the on-line library database system. In my case I go to www.kcls.org and find the tab for databases. Find the listing for Reference USA, click on it, and that will take you to their login screen. This is where you need the library card (and pin) that you got in Step 1. Enter your information and hit submit. Once you are logged in, click on US Businesses. 3. Figure out what you want to search for. I do the majority of my target market searches based on NAICS codes. The NAICS (North American Industrial Classification System) was established in 1997 to categorize and help standardize what companies do. The NAICS was designed as an update to the SIC classification standard. NAICS is based on a six digit code that is specific to a particular industry. For example, Boeing’s “primary” NAICS code is 336411 – Aircraft Manufacturing. Boeing makes a lot of other things besides aircraft which is why they also have secondary NAICS codes. You can get a good overview of the NAICS structure at the US Census Bureau website. You can also find a target NAICS code by looking up the NAICS code for a specific company as I did with Boeing. You can do that on the Reference USA site as well. 4. Use the NAICS code to create your search. Go to the Advanced Search Tab in Reference USA. In the left column under Business Type, click on the box that says Keyword/SIC/NAICS. For this example, I’m going to search for aircraft manufacturers using Boeing’s primary NAICS code – 336411.Click on “Search Primary NAICS Only.” Then type in 336411 and it should show up in the “Results” box. Click on that to make it appear in the “Selected” box. (If you forget to do this, the results are not targeted.) Click View Results and you should see approximately 560 records. 5. Download your records. The final step is to tag the records that you want and hit “Download.” I find it easiest to use the comma delimited download format, and then convert it into Excel. Once in Excel I then sort by revenue, geography or other parameters. Note that Reference USA limits the number of records that you can download at a time so you may have to do it in a few batches. As you play around with Reference USA it will become easier. You can also call or visit your local library where I have found the librarians to be extremely helpful. The data in Reference USA, and other on-line databases may be somewhat dated. I highly recommend cross referencing your target market list with LinkedIn. Then update the list as you go. There are other databases such as LexisNexis which have more robust search features, but usually cost money to access. For larger budgeted projects I often work with market research companies that have additional resources. 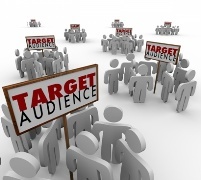 Reference USA gives you a free way to generate a target market list in a short amount of time. If I have an idea of who I’m targeting, I can usually create and download a list in under 15 minutes. That includes the time it takes me to find my library card.